Oh, no, Carrie, what is it now? Will Olivia Pope, “fixer” to the Washington power crowd on ABC’s “Scandal,” return to D.C., or is she really going to start a new life away from the madness? 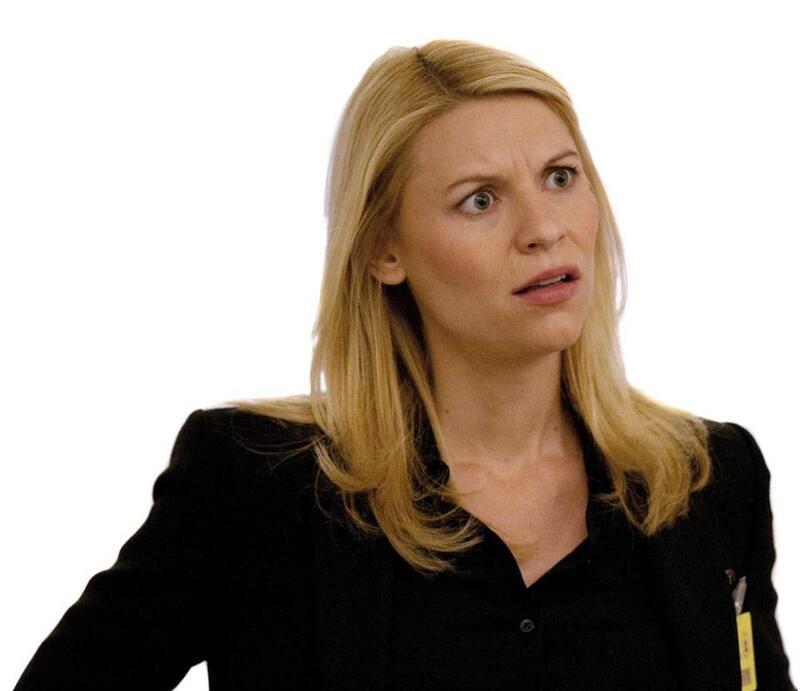 Will CIA intelligence officer Carrie Mathison on Showtime’s “Homeland,” descend into depression or will she get over the hanging death of Nicholas Brody, her on-again, off-again romantic partner, enemy of the state, hero, heroin addict, and baby daddy? When Netflix’s “House of Cards” returns, will Democratic Majority Whip-turned-VP-turned-President Frank Underwood be, perhaps, impeached, or will he manage to hold onto his newly attained position that he lied, maneuvered, and killed to get? I’m curious, I admit, but I can’t say I really care. I want to care, I do. I’ve gotten used to caring, deeply, about my television friends over the years. When Ida Morgenstern stopped talking to Rhoda on “Mary Tyler Moore,” it hurt my heart. When Dr. Melfi on “The Sopranos” was raped in the stairway of the parking garage, I was stunned, devastated. When Deacon on “Nashville” found out that Maddie was really his daughter, not Teddy’s, the stricken look on his face made me tear up. Comedy, drama, nighttime soap — no matter the genre, these shows have the capacity to make us feel. Interactive: Which new Fall TV shows make the grade? Here are our assessments of fall’s new shows. In most cases, the opinions are based on only one preview episode, so they may change as the series evolve. But, now there’s a new, popular TV genre that somehow pulls me in while preventing me from becoming fully invested. I’ve come to think of it as the cartoon drama. With cartoon dramas, the people, the storylines, and the situations are so unreal — or perhaps hyper-real — as to be laughable, which perfectly befits cartoons but not traditional dramas. These shows (their precursor is “24”) take the most frightening and horrifying political events of the day and present them in an over-the-top, unbelievable, outrageous fashion. It’s television for an age where we’re concerned and terrified yet simultaneously suffering from compassion fatigue: the age of ISIS, ISIL, the beheadings of two American journalists, war in Syria, a do-nothing Congress, the militarization of our police forces, the Ebola virus, etc. And so viewers not only turn to sitcoms and reality TV to escape, we also turn to cartoon dramas to confront the ugliness of current events, but in a way that can leave us ultimately untouched. Murder, torture, corruption — none of it sticks. Spoiler alert: Take “Scandal,” created by Shonda Rhimes of “Grey’s Anatomy” fame. In one episode last season, Olivia Pope, who believes she’s a “gladiator” who wears the “white hat,” dissolves into hysterical laughter-crying when she realizes that the president, vice president, and chief of staff have each murdered or hired a hit man to murder anywhere from one to a few hundred people. On “House of Cards,” the premiere lets us know how easily Frank Underwood can murder people when we see him strangle a dog. And so it’s shocking and yet not surprising when, in the Season Two premiere, he kills Zoe, a young journalist on his Machiavellian trail, by pushing her into the path of an oncoming subway train. Torture is de rigueur for these shows, and the portrayal is often graphic. Yet, the degree of pain the characters are capable of enduring and the way some of them bounce back, Road Runner-style, protects the viewing audience from the harsh realities of torture while making them feel like they’ve witnessed it. Brody on “Homeland” survives every form of torture known to man (and quite an ingenious few I never knew existed) until, at the end of last season, he is finally killed by hanging . . . or is he? At least cartoon dramas show how spies and torturers and the tortured are mentally and emotionally affected, right? Yes, and no. On “Scandal,” government-trained killer Huck has the blank eyes and hesitant speech of a broken man, but the excessive use of these traits turns him into a caricature instead of a character. In “Homeland,” Carrie’s full-throttle hysteria, meant as a symptom of her bipolar disorder, is so ridiculous it was satirized in an SNL skit that went viral. So, why do I keep watching cartoon dramas? Maybe I really don’t want to care about any more characters. Maybe, instead, I’m happy to have a very scary world turned into a fantasy, ready-made for binge watching. And, yet, my better nature still wishes for more. A conversation on the last episode of “Scandal” between Olivia Pope and Cyrus Beene, the White House stop-at-nothing chief of staff, says it all. When Olivia asks, “When did we stop being people?” Cyrus replies, “Were we ever people?” My point, exactly. Meta Wagner teaches writing at Emerson College and is writing a book on creative personality types. Follow her on Twitter at @creativitytypes.